2. Click the big button to install PHP using Microsoft Web Application Gallery. If you don’t have it already installed, it will be installed first. 3. Follow the onscreen instructions. 4. Go to Control Panel > Administrative Tools > Internet Information Services. 7. Confirm if *.php extension is now handled by PHP FastCGI. You’re done! Add a new Application to IIS and you’re ready to go! Now, in order to install MySQL databse onto your system, you first need to download the MySQL Community Edition, (the freely downloadable version) from the MySQL Developer downloads webpage. At the time of this writing, the current version is 5.1 and 5.4 is available as a beta version. For instance, if you have a 64bit OS, install the following: mysql-5.1.40-winx64.msi. For 32bit OS choose mysql-5.1.40-winx64.msi. Follow the on screen instructions. When asked, select standard installation and a root password at your discretion. When the installation is finished, goto Start –> Programs –> MySQL > MySQL Server 5.1 > MySQL Command Line Client (mysql). mysql is a simple SQL shell. It supports interactive and non-interactive use. When used interactively, query results are presented in an ASCII-table format. When used non-interactively (for example, as a filter), the result is presented in tab-separated format. The output format can be changed using command options. You’ll also notice a database named “test”. This is a sample database that you can use for testing purposes. And that’s it. You’re all set to start working with Php and MySql. 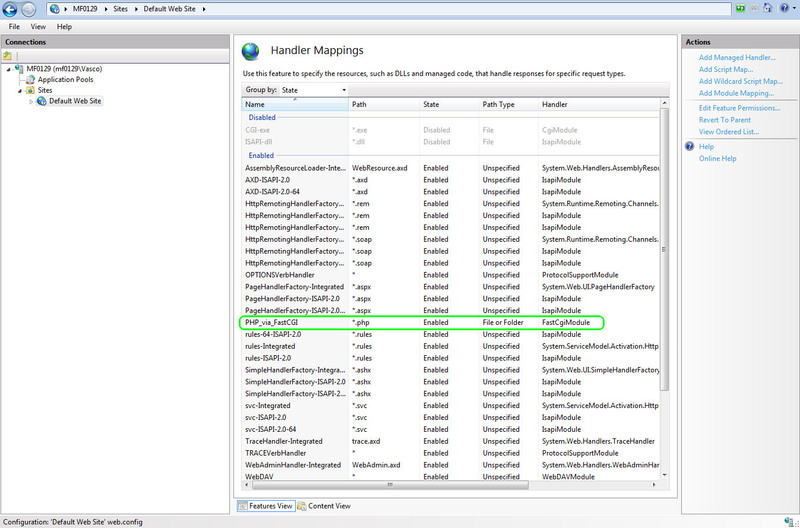 This is just only brief tutorial about how to add a new site in IIS 7. If you have any problem, please let us know. 1. Right-click the Sites node, and then click Add Web Site. 2. Type a name for your Web site In the Add Web Site dialog box. 3. If you want select a different application pool or leave the current selected. 4. 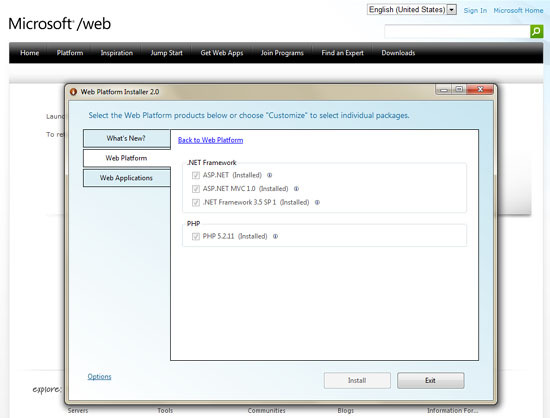 In the Physical path box, type the physical path of the Web site’s folder, or click the browse button to choose the folder. 5. The default value in the IP address box is All Unassigned. If you wish to specify a dedicated IP address for the Web site, type it in the IP address box. 6. Type a port number. 7. Type a host header name for the Web site in the Host Header box.